Dream Angus comes to you at night and bestows dreams - you may spot him skipping across the hills, his bag of dreams by his side. Just the sight of him may be enough to make you fall in love, for he is also the god of love, youth, and beauty. Divine Angus is cherished by all but fated to love only the beautiful Caér, swan maiden from his own dreams. 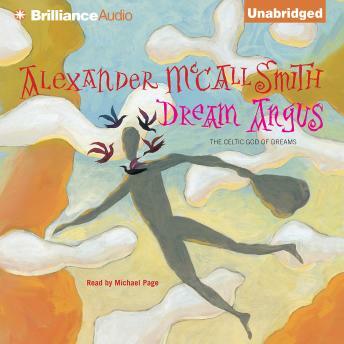 Crafting an ancient myth into a tale fabulously and irresistibly new, Dream Angus is the epitome of McCall Smith's prose, beautifully weighted, sensuous in its expression, deliciously serene. Five exquisite fables of modern dreamers unfold alongside Angus's search for Caér. Mesmerically weaving together the tales of the Celtic Eros and his contemporary alter egos, Alexander McCall Smith unites dream and reality, leaving us to wonder: what is life, but the pursuit of our dreams?